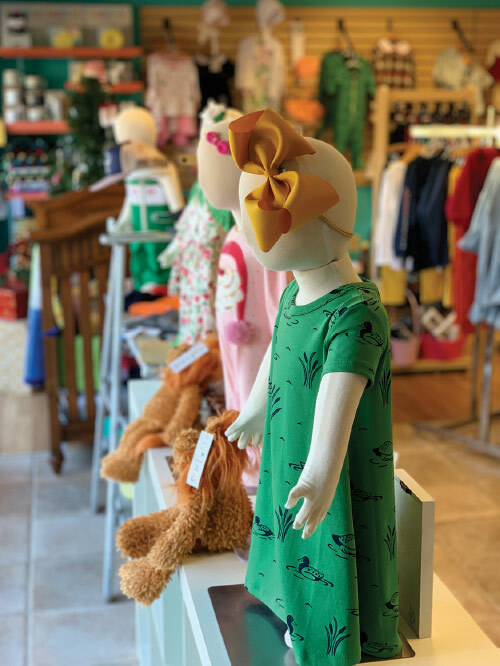 Brandy Brown’s 2,100-square-foot location serves everything locals and tourists need for their child from christening gifts to feeding accessories to swimwear. How’s business? It just keeps getting better. When we started, we expected to be down for a couple years, but we never were. It’s never been a bad year, and it just keeps improving. 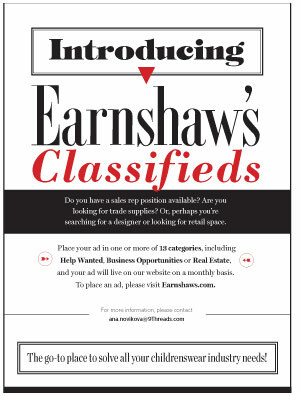 Anyone who walks in will tell us how we needed a shop like ours in this area. Who’s walking through the door? A mix of classic and modern parents. I would say we’re also big on grandmothers and a few grandfathers who come in at the same time each year. We also get dads who come in by themselves because around here, dads are very into dressing their kids. What are your top-selling brands? Mayoral is the main boys’ line, and it sells out of the box when we get it in the door. Feltman Brothers sells great for grandparents and classic moms. Angel Dear and Kissy Kissy are a go-to for infant and toddler gifting, and Native is our go-to for footwear. My boys wear Native year-round. How about accessories? Herschel bags is one of my bestsellers, and I would say Native for shoes. We carry Bows for Belles out of South Carolina and ship them up and down the East Coast, which is crazy. For jewelry, we do Little Things Means A Lot, which are always big for little girl bracelets. Mini polarized shades by Mini Shades are another year-round hit. Do you sell online? My plan was to sell online, and we even had a website made for us. But we found out it’s a lot of work, and you lose that personal connection, which is huge for us. We switched back to selling on Instagram because you can connect better. We’ve become friends with people in Maryland, Texas and even Hawaii. Cindy also sells over Facebook and brings in people locally that way. She has a lot of tourists who visit once a year on vacation, and they always stop in. Some will even call the week before, so we can pull things that will work for them. Cindy has been doing this for so long and made so many friends because of it. What’s the smartest business move you’ve made since opening? Three years ago, we started doing the free photos with Santa to give back to our customers. Now they start calling me in July asking if we’re doing it this year. We bring in a professional photographer, and it just adds that extra level of service and feels that much more like a family atmosphere. It makes them think about us because we’re thinking about them. What’s next for Rock-A-Bye Baby? Above all, just keeping with consistent and quality service. The stories Cindy’s regulars tell about shopping at her store for years…I hope 20 years from now I’m in the same situation—the next generation of grandparents who remember shopping with us when we were helping outfit their babies. We’re not worried about five years from now, but two decades from now I hope they’ll still remember that great experience shopping at our store.